Many thanks for all the Sainsbury and Tesco tokens which we are now busy counting. Eleanor and Sioned spent a day at the Faenol Fawr, Bodelwyddan as the school’s Road Safety Officers. 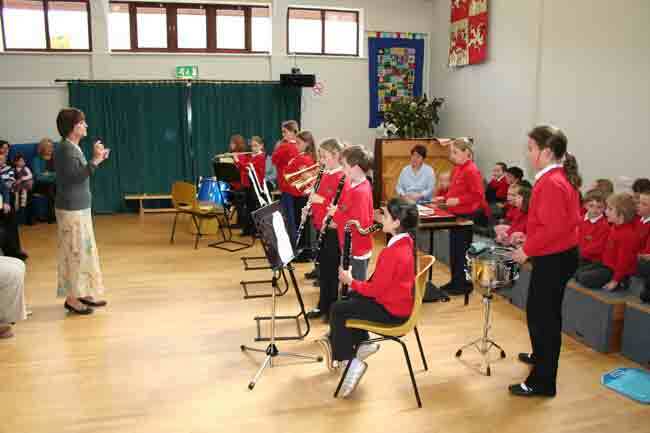 The Recorder Group , the Band and the Clog Dancers had a good time in the Eisteddfod in Ruthin. We were pleased to see one of our past pupils, Bryony Keyse, playing the piano on the stage in the Eisteddfod and we will be sending our congratulations to her.